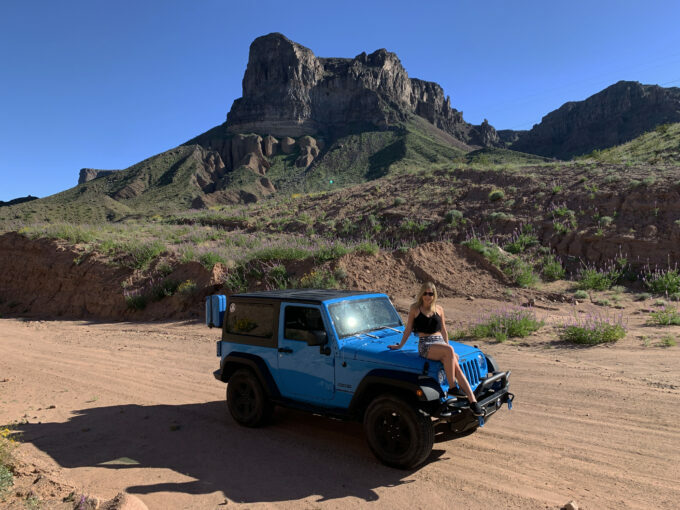 Welcome our newest ModernJeeper contributor, Catie Mean, known as “Make Her Mean” in the Jeep world. She’ll be writing for us and sharing her travels in what we’ll call, Catie’s Corner. Hey everyone! My name is Catie. I’m roadtripping around the USA and Canada in my Jeep Wrangler, trying to figure out what I want in this crazy journey called life! A week after I joined the Jeep fam, I hit the road with no idea what I was in for. Ever since, me and my Wrangler, Bella, have been roadtripping all around the USA and parts of Canada. I’ve made it from the east coast of Virginia to the heart of Texas, out to the volcanoes of the Pacific Northwest and into the deserts of the Southwest. 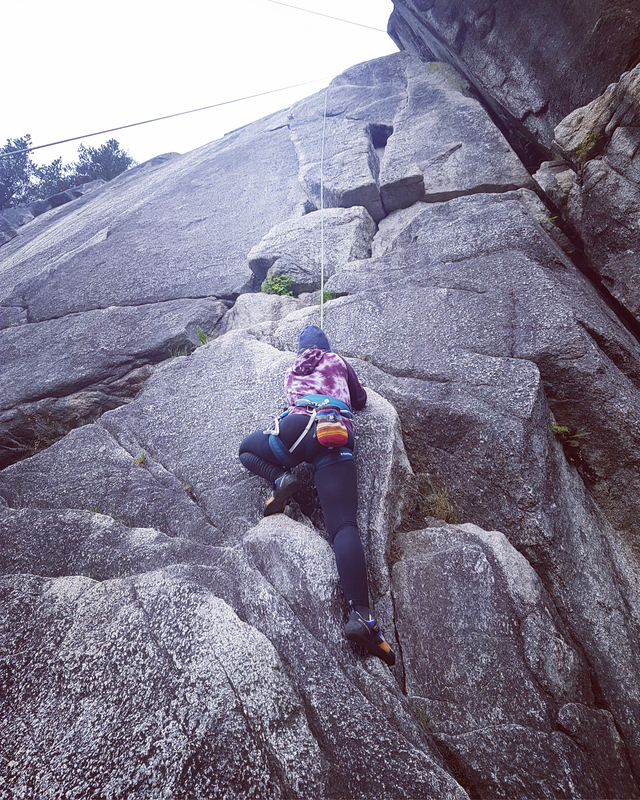 For the past two years, I’ve been living a very unconventional lifestyle. I’m on the road more often than not, by choice! The world has so much to offer and I want to see as much as of it as I can. 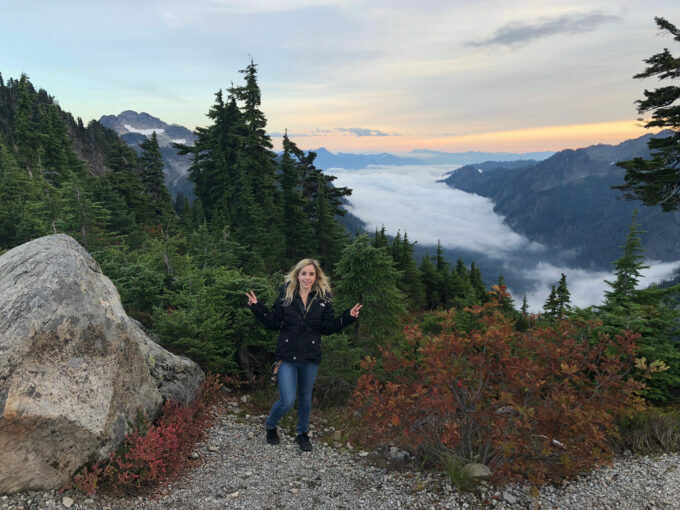 The bonus is, I’m bringing you all along for the ride 😜 Each week I will share a cool new location I’ve found, packed full with things to do and travel tips. Traveling doesn’t have to be expensive. I’m often told doing a cross-country roadtrip is a dream to many people. Well, I’m here to show you how you can achieve it whether you do it all at once or in fun weekend getaways. I’ll show you where to find hidden gems right in your backyard! If I could pick a theme song for my life, it would be the Johnny Cash song, I’ve Been Everywhere. I’m rapidly knocking off city after city he mentions in the song and I plan to keep going until I see everything on the list, and more! As I explore the USA and Canada, I’m also building out my Wrangler. You can follow my build and see how upgrades like a lift and adding jerry can mounts can make a huge difference in capability. Each place I explore gives me new ideas for my build. Jeeps can go anywhere and I plan to build mine to go everywhere. When I left the east coast, I had no idea what I was getting into. I ended up in Austin, Texas first. From there I explored Dallas, Houston, San Antonio, and South Padre Island. Texas was a completely different way of life and I loved every part of it. Everything really was bigger 😂 Seeing all the mean lifted Jeeps crawling around is where I got my hunger to start building out my Jeep. Austin is where it all began and I was hooked instantly. Texas had been such an eye opening experience about how different lifestyles can be, and my craving for travel only grew. Now I was itching to see what else was out there. So I packed up my bags and headed up to Portland, Oregon. 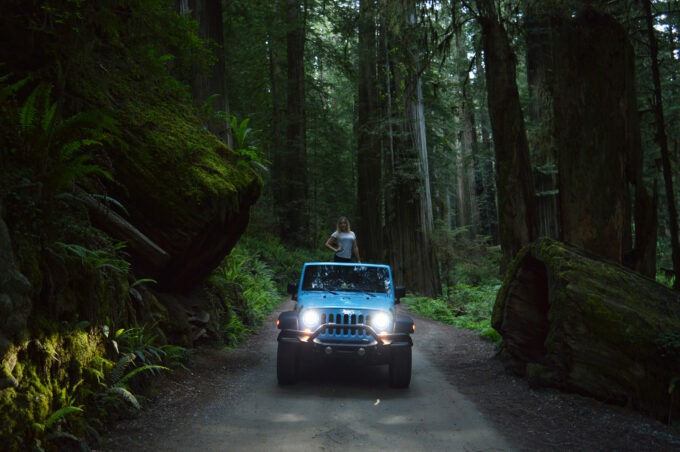 I spent the warmer months exploring the PNW hiking volcanoes, rockclimbing mountains, and hitting gnarly trails in my Jeep. I even drove my Wrangler up through British Columbia, Canada a few times!! Since the PNW is very remote in areas, I started to build out my Jeep with overlanding in mind. This allowed me to adventure even further and push more boundaries. 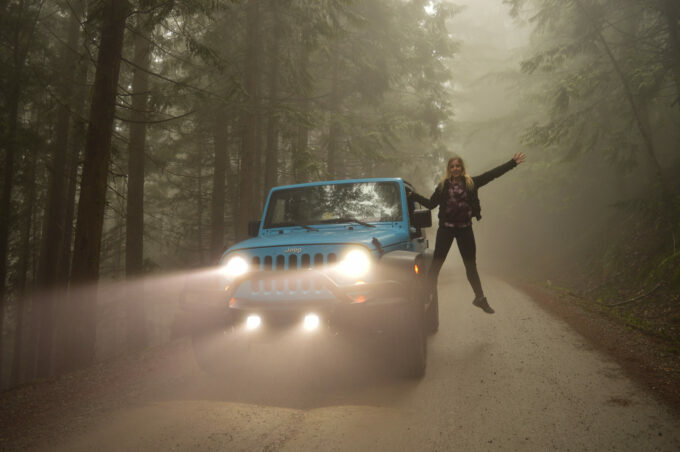 I spent the fall Jeeping through remote areas of Washington state. It was breathtaking watching the leaves change colors and paint the mountainsides. I fell in love with the crystal clear lakes and towering mountains, but I knew I wanted to keep exploring. When the leaves started to fall, I packed my bags and headed south. Now, I am in the heart of the American Southwest. Deep in the Sonoran Desert, I am building out my Jeep once again and hitting the endless trails out here. Follow me on my journey as I continue to explore the USA and Canada! 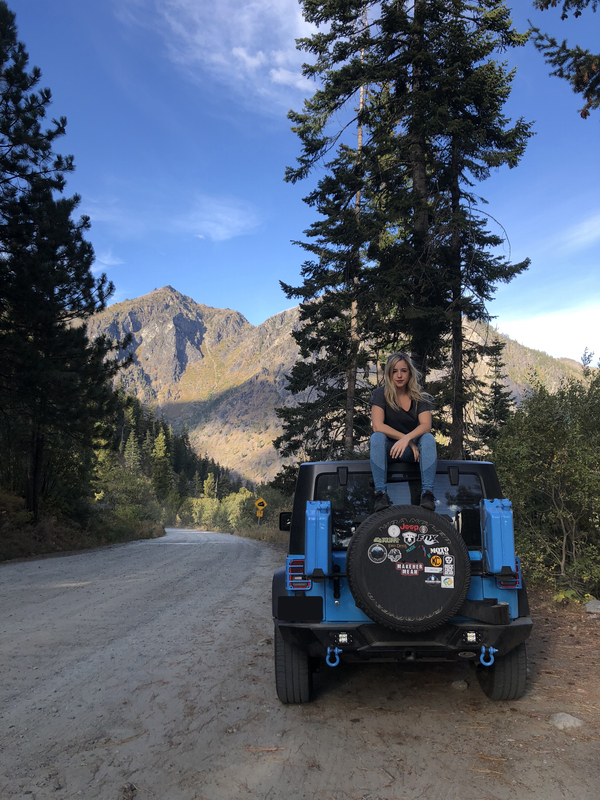 Just a girl and her Wrangler roadtripping around the USA and Canada, while building my Jeep along the way. 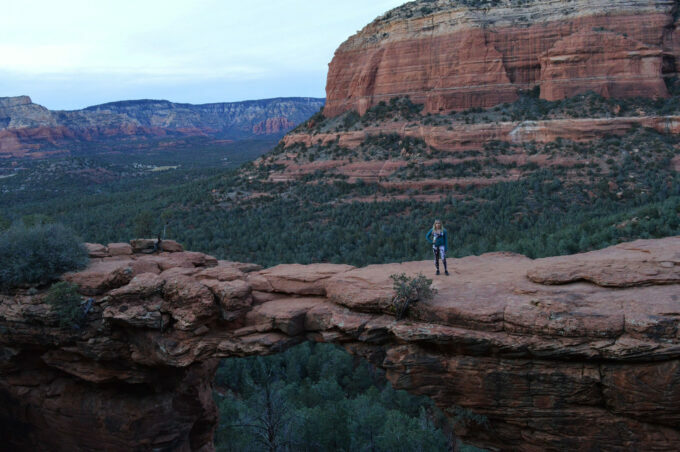 Each week I'll share fun adventures from my corner of the world. Welcome to the Jeep world and to my part of the country. Of course, you’ll need to visit New Mexico to really see the state I live in! 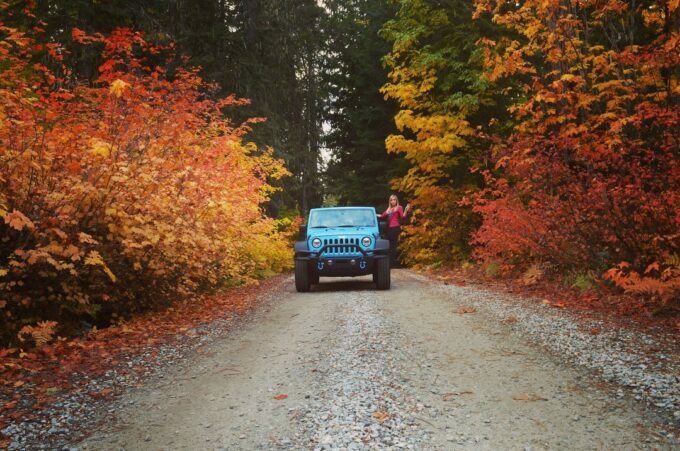 I like the color’s for your Jeep and the pictures you are showing are very well saving. Enjoy your travels and stay safe. Great story. You sure are making the most of your life. Can’t wait to see the next chapter in your travels!